Three has tweeted that it is expecting the Samsung Galaxy S Android 2.3 upgrade to hit handsets within weeks. Although the Twittering network couldn't say the exact date the roll out would begin, it replied to a customer saying "It's expected in the next couple of weeks but we cannot confirm a date." The popular Samsung handset is currently languishing on Android 2.2 while the plethora of Gingerbread handsets launched at this year's Mobile World Congress trickle out. From Samsung, these include the Samsung Galaxy S II, a powerhouse of a dual-core smartphone and the successor to the original Galaxy S.
But it looks as though the Gingerbread update could hit the original before the successor's launch, at least on Three, with May looking like a likely Samsung Galaxy S II UK release date. 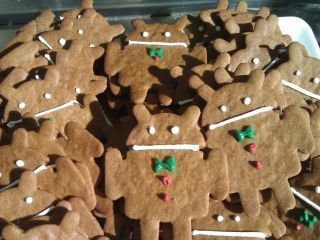 Tasty new features that the updated Gingerbread software will bring to the Samsung Galaxy S picnic include improved copy and paste, the handy 'Downloads' application, an improved keyboard and better battery life.